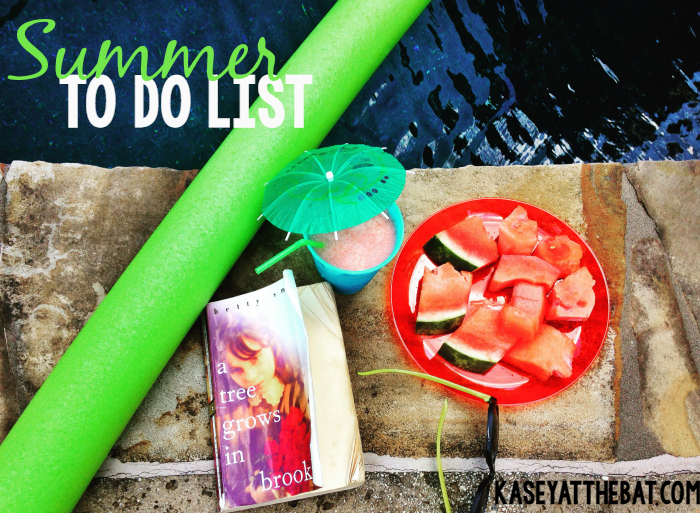 Last year, I made a summer bucket list, and failed pretty miserably at it. So we're just not going to talk about that one. Why it never occurred to this obsessive list maker to make it a summer to-do list instead of a bucket list (ps, why do we like that so much? isn't it things you're supposed to do before you die, aka kick the bucket? we're such an odd group.) Instead, I've put together a list of things I want to do this summer! hike Tallulah Gorge. I'd be lying if I didn't say it was about 95% because of Karen's pictures. explore Oakland Cemetery. I have a weird thing for historical cemeteries. maybe hit Tunes From The Tombs this weekend? DO NOT BUY ANY MORE BATHING SUITS. guys. I have a problem. Read new books. I have a tendency to stick with #nonewbooks because sometimes when I love something so much, I just want to read it over + over + over + over. Take that copy of A Tree Grows in Brooklyn up there for example. Finish the awesome collage/wall thing I have imagined for my bedroom. I have a pretty good suspicion this list will grow + change. I'm even PUTTING IT IN THE BULLET JOURNAL. So it's all official + such. What are you doing this summer? Want to join me on any of these adventures?! What should I add to my list?